Dow’s was one of the first Port companies to recognise the importance of vineyard ownership in the Douro. 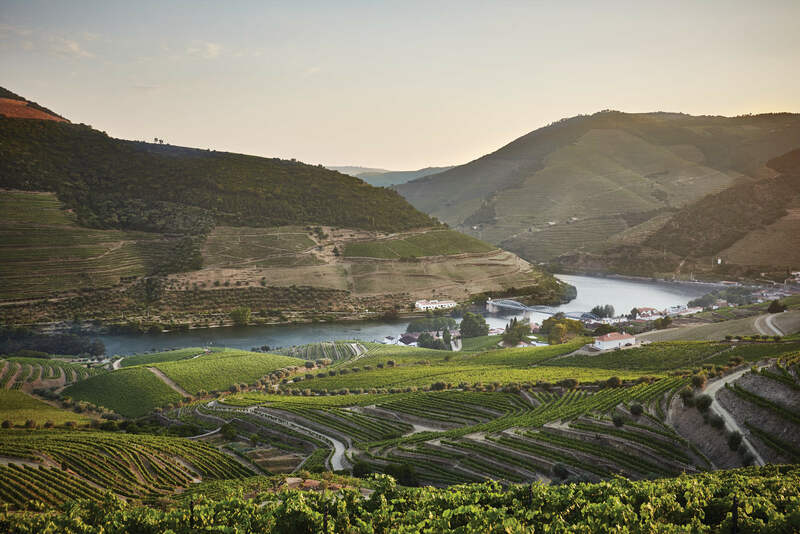 Quinta do Bomfim, one of the finest properties in the Upper Douro, was acquired by the company in 1896 and is the oldest quinta in continuous ownership. Located on the river at Pinhão, it is widely recognised as one of the finest properties in the Upper Douro. Quinta do Bomfim is situated in the heart of the Douro winegrowing region, just east of Pinhão on the north bank of the river Douro. It has a classic riverside location, with south facing vineyards, ensuring prolonged exposure to the sun. This results in excellent ripening of the grapes during the growing season, essential to the production of first-class Port. The altitude of the estate ranges from 100 metres on the river front up to 340 metres. The property’s location offers the perfect balance between the harsh extremes of the eastern end of the valley and the overly rich soils and abundant rainfall of the lower Douro. The consistent climate in this part of the valley results in full ripening and very high quality wines produced in most years. When young, Bomfim ports are purple-black, austere, complex and intensely concentrated; they are charecterised by very fine peppery tannins. Over the centuries, the winemakers at Bomfim have evolved a style that suits this particular vineyard: fermentations are a little longer, resulting in a drier Port wine that has become the hallmark of Dow’s. The grapes are normally extremely ripe at the time of picking, a direct result of the low-lying position of the main vineyard. Spice and pepper balance the black chocolate flavours and these are very evident in all the quinta’s ports. Abundant fruit flavours with hints of maple, raisins and ripe blackberries give elegance and poise to this wine. The very high percentage of Touriga Franca and Touriga Nacional planted on the estate result in the powerful aromas of mint and violets in the finest Ports from Bomfim. Souzão contributes an exotic note and fine acidity. The old vines first planted by Maurice, John and Ron Symington in the mid 1920’s bring a fabulous complexity to the Port wines made at Bomfim. The Quinta encompasses around 50h hectares are under vine, with a large percentage of the vineyards dedicated to the two main Douro varieties, Touriga Nacional and Touriga Franca. All of the property is A-rated, and virtually the entire Quinta is now planted in varietal blocks, allowing each variety to be picked and vinified separately.